The Spokane Valley Fire Department will pay a captain fired in 2012 for sending religious emails $900,000. Jon Sprague, who served as a firefighter and captain with the department for more than 18 years, claimed the department violated his First Amendment rights by disciplining him for sending religious emails to his Spokane Christian Firefighters Fellowship group and posting on the department’s bulletin board. The six-year legal dispute between Sprague and the fire department began when his termination was upheld by the department’s Civil Service Commission. Spokane County Superior Court dismissed the case – a decision also upheld by the state Court of Appeals. Then, last year, the Washington state Supreme Court noted the Court of Appeals declined to address the merit of Sprague’s claims and that he “met the initial burden to show that the SFVD’s restrictions on his speech violated the First Amendment,” according to court documents. The Supreme Court ruled the department engaged in “viewpoint discrimination” by allowing some personal content on the employee bulletin board, but excluding Sprague’s content. Although the department had a policy that limits work email use for department business, it didn’t have a policy governing its electronic bulletin board used by more than 180 employees for a variety of personal business, including selling snow tires, requesting tickets to concerts or seeking recommendations for a babysitter, according to court documents. The case was set to go to trial this year, but the fire department’s insurance company – which is responsible for paying the settlement – opted to arrive at an agreement with Sprague. “The department’s insurance carrier, which is responsible for the settlement payment, advocated for the same. The department is pleased that this matter, which began in 2012, will soon be concluded so the department can continue to focus on providing high quality services to its communities,” the fire department added. 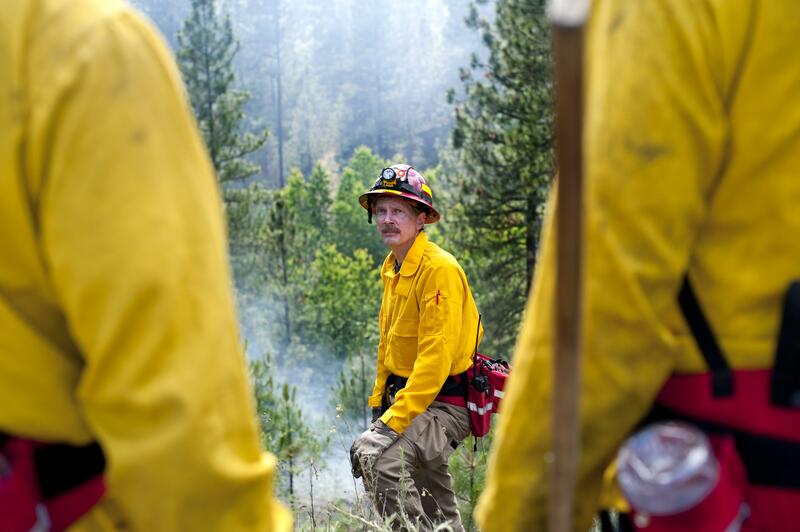 Sprague – who is no longer a firefighter and has moved to Western Washington – is satisfied with the settlement, said Matt Albrecht, attorney for Sprague. Albrecht told The Spokesman-Review last year that the case could set a precedent for police and fire departments to examine their policies. He continues to maintain that position.